United Sewer & Drain Services Corp. 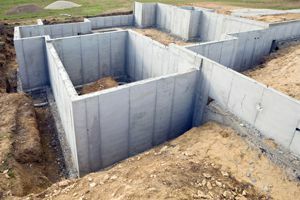 Comment: I would like to get an estimate for I would like a foundation for a garage poured. Comment: I would like a foundation for a garage poured. Comment: I would like to get an estimate for crawl space waterprooffing. Comment: Outside foundation inside foundatio & basement inspections. Comment: I have water leaking into my home and can't figure out why. Comment: I have to get possibly new sump pump and add french drains. New Windsor Foundation Contractors are rated 4.54 out of 5 based on 559 reviews of 28 pros. Not Looking for Foundations Contractors in New Windsor, NY?